If you are a Nebraska resident who plans on putting a child through college one day, you can start your financial planning now by learning about the tax benefits of the state's 529 college savings program. 529 Plans offer tax-advantaged ways to save money. If enough money is saved through this vehicle, there is less stress at admissions time about applying for financial aid or searching for scholarships. Investments made in these accounts grow free of federal and state income taxes. In addition, all withdrawals used for qualified higher education expenses are exempt from federal income tax. Some 35 states also waive state taxes on withdrawals, along with offering other incentives. Nebraska Education Savings Trust (NEST) - Direct College Savings Plan: With this option, you have the ability to control your own account. There are three paths to investing - age-based, static and individual - to fit your risk tolerance, time frame, and savings goals. Nebraska Education Savings Trust (NEST) - Advisor College Savings Plan: This plan is offered to individuals who are working with a financial advisor. It also includes age-based, static and individual options. 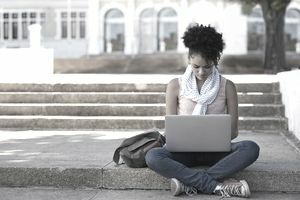 TD Ameritrade 529 College Savings Plan: This plan is similar to NEST, but it is distributed through discount broker TD Ameritrade at a slightly higher cost. State Farm College Savings Plan: This plan uses OFI Private Investments Inc. for administration and investment management services, and is distributed exclusively through State Farm representatives. Effective January 1, 2014, the maximum state deduction is $10,000 for single, head of household, and married, filing jointly filers; and $5,000 for married, filing separately filers. Account owners and parents or guardians who are custodians of a UGMA or UTMA NEST Direct account are eligible for the applicable deduction. This means that if a Nebraska couple who files a joint return contributes more than $10,000 on behalf of multiple beneficiaries (children), they are still only allowed to deduct a maximum of $10,000 total on their tax return. Only contributions made to the Nebraska College Savings Program, administered by the Nebraska State Treasurer, qualify for the deduction. The Nebraska College Savings Plan tax deduction is an "above the line" income adjustment, meaning you can claim it even if you do not itemize your deductions by opting for the standard deduction. Contributions to your NEST account are made with after-tax dollars and your earnings grow federally and state tax-deferred while they're invested. Any investment growth is yours to use. Rather than paying taxes on the money earned, it is reinvested. There is no income phase-out on the Nebraska College Savings Plan tax deduction. Nebraska residents trying to decide whether to use a Nebraska 529 plan versus another state's Section 529 plan need to account for the potential tax savings of contributing to their in-state plan. Nebraska does not currently offer a tax deduction to residents contributing to out-of-state plans. Do not include those contributions on your Nebraska tax form. Considering that the top Nebraska income tax rate is 6.84%, a full deduction of $10,000 can save a taxpayer up to $684 at tax time. Currently, Nebraska does not offer a tax deduction for contributing to other types of college savings accounts such as a Coverdell Education Savings Account (ESA) or UTMA Custodial Account. There is no income limit or savings cap, and there is a high contribution limit of $360,000 per beneficiary. Residents can claim the Nebraska 529 plan tax deduction on their Schedule I - Adjustments to Income form, line 17. To be eligible, contributions must have been completed by December 31 of the tax year in question.